Planet Leicester Bakers is delighted to share news of the first work in the Leicester Bread Clubs initiative, which was featured in edition 3 of Planet Leicester News. Working in partnership with Leicestershire Partnership NHS Trust, these first clubs are funded by Leicester City Council’s ‘Time to Change’ fund, which aims to improve mental health in the city. For more information, including how to volunteer on the project, check out the media release in this post. You can also contact Planet Leicester Bakers via this site, by email or phone, for more details of this exciting new initiative! Bread making for the benefit of mental health is coming to Leicester. 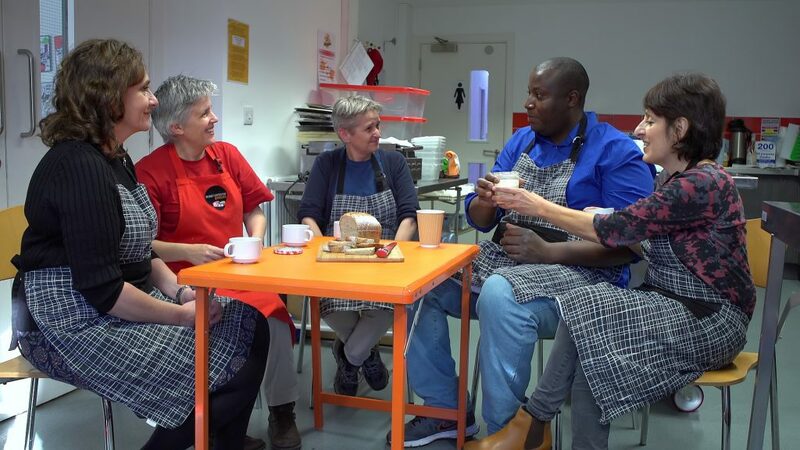 Planet Leicester Bakers has secured funding and teamed up with Leicestershire Partnership NHS Trust (who provide community and mental health care) to kick start a new Leicester Bread Clubs initiative in the city. Funded by Leicester City Council’s Time to Change mental health initiative, these first Bread Clubs will train volunteers to bake bread and then use this lovely activity with local people, some of who are supported by mental health services. The aim is to provide a relaxed, informal and safe space to enable people to feel at ease so that they can talk about their feelings. Hand-making bread has been found by many community bakers to be a positive and relaxing activity. It is even used by some bread trainers in ‘breaditation’ mindfulness workshops. Leicester City Council’s Time to Change campaign is funding Planet Leicester Bakers to train 12 NHS volunteers in basic bread making. At the same time the volunteers will be trained in undertaking conversations with people that encourage them to talk about their feelings. Planet Leicester Bakers will then support the volunteers in their first baking sessions with people who use the NHS Trust’s mental health services. The vision is for the volunteers to continue to use and promote bread making as a therapeutic and supportive activity in the NHS and other community settings into the future. PLANET LEICESTER NEWS 3: OUT NOW!